Salted Carmel Sauce (Bon Appetit 10/13) | I Am Not A Restaurant! I Am Not A Restaurant! So EZ it's worth repeating! And eating. 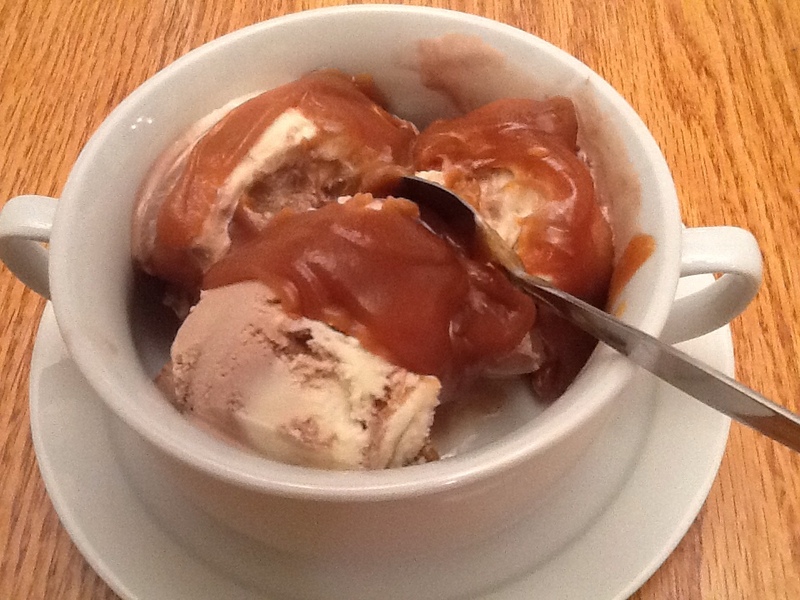 I snapped the caramel sauce recipe from this month's edition of BA. The apple cake is still on my to-do list. As delicious as the sauce is when warm, it keeps pretty nicely in the fridge. A bit stiffer, but heck, it was the best ice cream topper we had in a while. Oct7October 7, 2013 • By Betsy Karetnick • This entry was posted in Dessert, Dish of the Day, Gluten-free, Kitchen Help, meatless, Recipes and tagged Bon Appetit, carmel sauce, meat free Monday. Bookmark the permalink. Dear god!!! Looks crazy delicious!!! Whoops! Didn’t read the entire recipe to realize that this included a cake in the recipe. I was thinking of the Venetian Apple Cake recipe you recently posted. 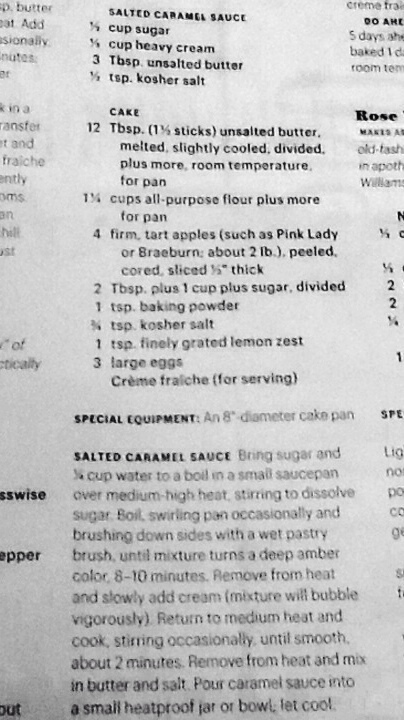 I would warm the caramel sauce and drizzle on the apple cake. Salted caramel is the Bomb!!! !